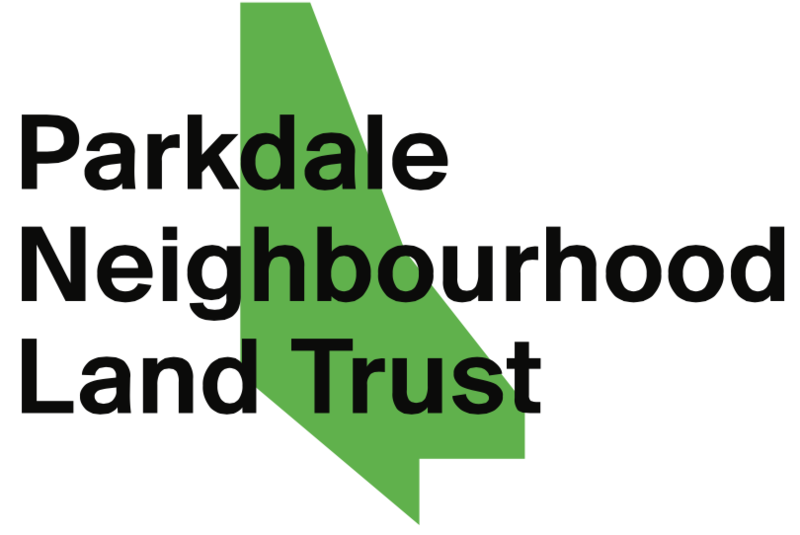 PARKDALE NEIGHBOURHOOD LAND TRUST – Held. Together. Join us on May 25th 2019 for the Annual Members Meeting and Potluck for the Parkdale Neighbourhood Land Trust (PNLT). We’ve had a hugely successful year and we want to celebrate with you! 02apr6:30 pm8:30 pmWorld Beyond War: Who Needs Violence? The first farmers market in Toronto was started by the late Elizabeth Harris to sell the organic vegetables of Muskoka farmer Dianne Kretschmar. Now Elizabeth’s daughter Anna Murtaugh and Adam Royal are almost self-sufficient in food on the Gaspé peninsula in Quebec, where they helped start a bilingual farmers market. Toronto is finally taking action to slow the loss of rooming houses in our city. The City is currently looking to change Toronto’s Official Plan to ensure that dwelling rooms that are lost as a result of development are replaced and that tenants of those dwelling rooms are provided with supports and (ideally) housing. This is a step in the right direction, but a more comprehensive framework of policies and programs that deal with the protection and preservation of dwelling rooms is still needed. Read PNLT’s submission on the City’s draft amendment to the Official Plan to address the loss of dwelling rooms. As our city considers new policies to protect dwelling rooms, we believe it’s important to draw upon the experiences of other cities. 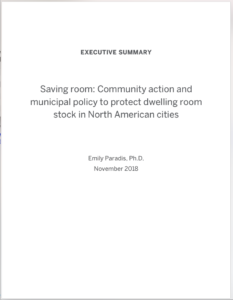 To help inform the discussion, we have released the report, “Saving room: Community action and municipal policy to protect dwelling room stock in North American cities,” by Emily Paradis, PhD. The report looks at the comprehensive approaches other cities have developed to effectively prevent and respond to the loss of dwelling rooms in their cities. 3. Support for tenant education and advocacy. This report was created as part of the Parkdale Rooming House Stabilization, Eviction Prevention and Preservation Strategy: an initiative of four collaborating agencies (PNLT, PARC, Parkdale Community Legal Services and Woodgreen) that are working together with tenants to preserve and protect Parkdale’s affordable rooming house stock. Our hope is that this jurisdictional scan on dwelling room protection policy can inform policy development, advocacy and organizing in Toronto. This report was made possible through the support of the Local Poverty Reduction Fund of the Government of Ontario, which is administered by the Ontario Trillium Foundation. Thank you to Maytree for its support with editing and production. The overall strategy has received additional investment from the Catherine Donnelly Foundation, The Law Foundation of Ontario and Cota, as well as over 100 members of the Parkdale Community. We are excited to announce the launch of the Parkdale Free School, a PNLT initiative that aims to organize free, informal classes and workshops across the neighbourhood! Parkdale is a neighbourhood rich in knowledge, valuable skills and lived experience, and PNLT thinks it is high time our community find ways to share these assets with each other—in settings that are fun, engaging and accessible to all! Our goal is to raise $50,000 that acts as a “down payment” on property so we can secure it quickly and efficiently, or we risk losing it. Please join us with a contribution to our Preserve and Protect Fund.